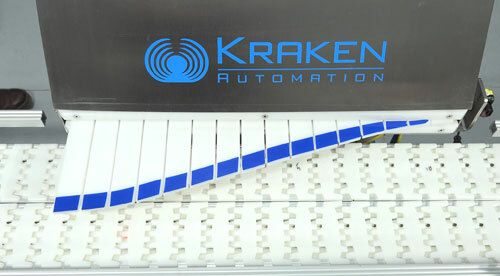 Kraken Automation’s product diverters and reject systems can be sized to meet your specific product requirements. 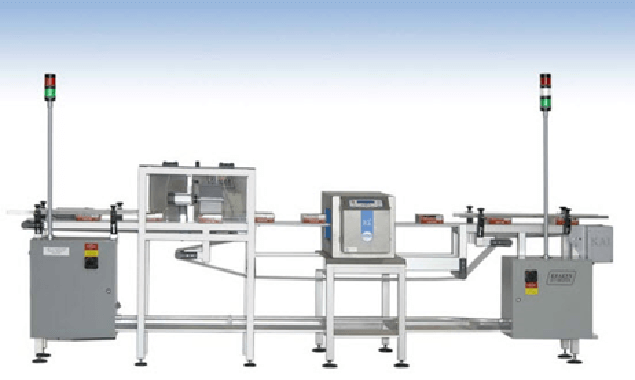 Our Product Diverters divide products into multiple lanes, allowing your system to change the direction of portions of continuous product flow. For example, if a product is packaged in multiple carton-size configurations, you can divert some product for packaging to a 2-per box carton packaging system and some to a 12-per-pack packager. Other uses include product bypass, use of multiple slower systems downstream, or change of flow to back up systems for maintenance of material changes. Kraken’s product diverters can be supplied in many forms depending on the number of lanes required at the discharge, product speeds, sensitivity of the packaging, variation of products on the same line, and many more specifications. and concerns about effectiveness and safety. Kraken has developed many reject systems that eliminate typical rejection issues. 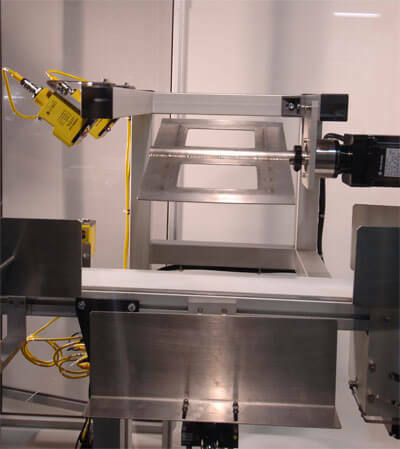 Problems with product speed have been solved by rejection systems that can achieve speeds of up to 1000 parts per minute. Safety concerns are eliminated through the use of rejects that gently remove product without spilling open containers. 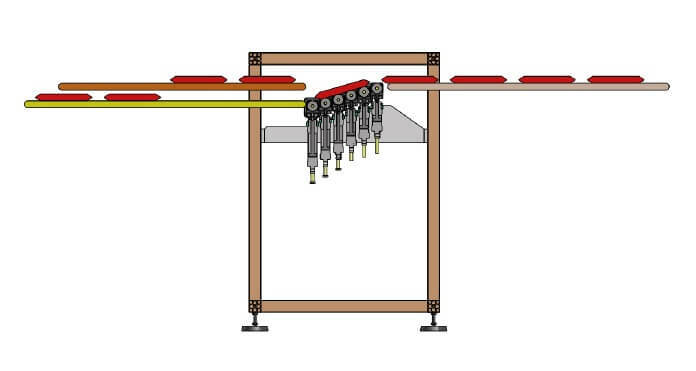 Each situation can be evaluated for the best solution to ensure the safest and most efficient reject system. Contact us to review your packaging automation challenges and requirements.